Everywhere you look, you will find a plethora of commercial products claiming to be a cure-all for acne; a common skin problem that we have all dealt with during our teenage years. 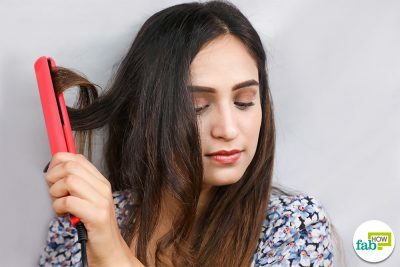 However, using these products can prove to be heavy on your skin and pocket as these products often contain harsh chemicals and cost a pretty sum too. Acne refers to a skin condition in which your pores or hair follicles become clogged with excess sebum or dead skin cells. When these clogged pores become infected, the surrounding skin becomes red and inflamed, very often with a pus-filled white or yellow center. 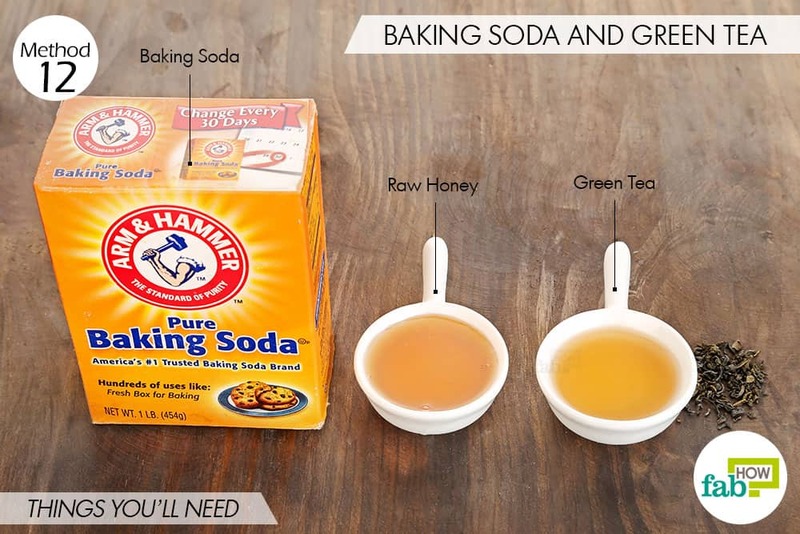 Baking soda is a versatile household ingredient that has been used in various home remedies for a wide variety of purposes. 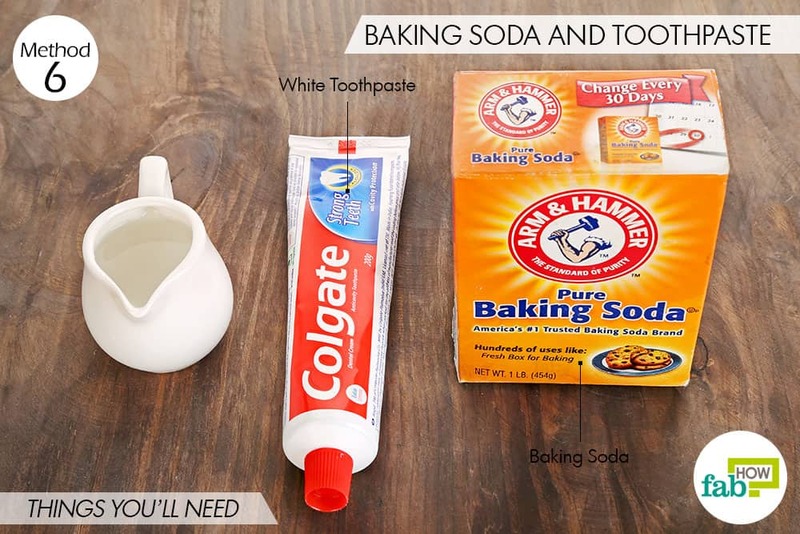 You can easily use baking soda to clean your entire house from the dirty tile floors to the crusted showerheads in the bathroom. At the same time, baking soda can also be used in several ways to get gorgeous skin and beautiful hair. This fine white powder is particularly effective against acne, as it neutralizes the pH imbalances on the skin, soaks up the excess oil, and dries the inflamed, red bumps, or pimples from within. 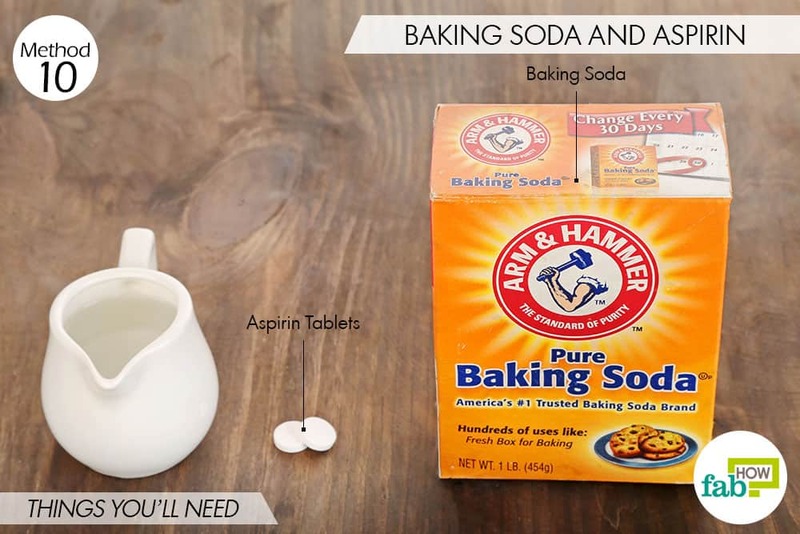 Additionally, baking soda also acts as a mild exfoliant, opening up and de-clogging the blocked pores by removing all dead skin cells and impurities. 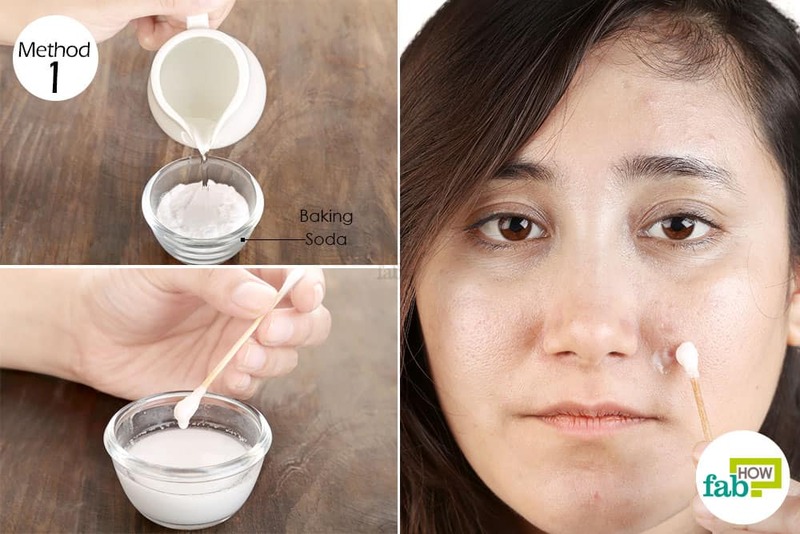 Here, we show you 12 different ways to use baking soda for acne. We have a mask for every skin type, so continue reading to see which one suits you best. 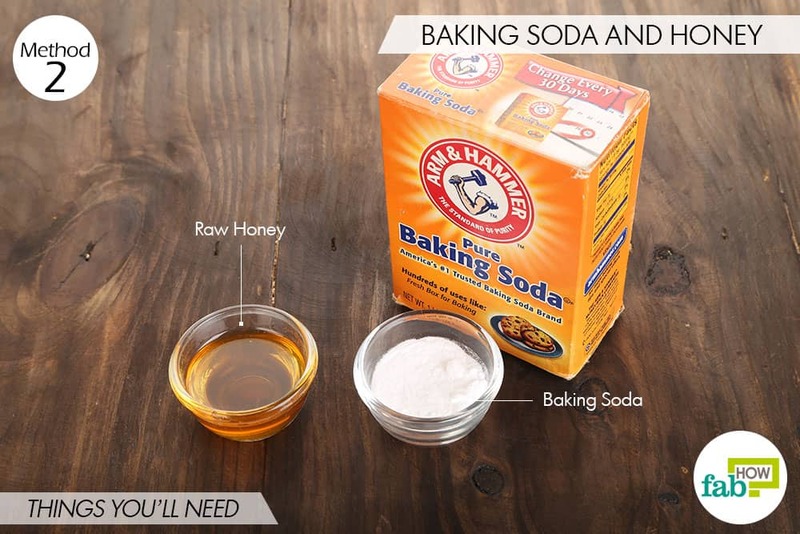 Note: As baking soda has a drying and exfoliating effect on skin, it can be mildly irritating on the skin. Always do a patch test before proceeding with full-scale application. 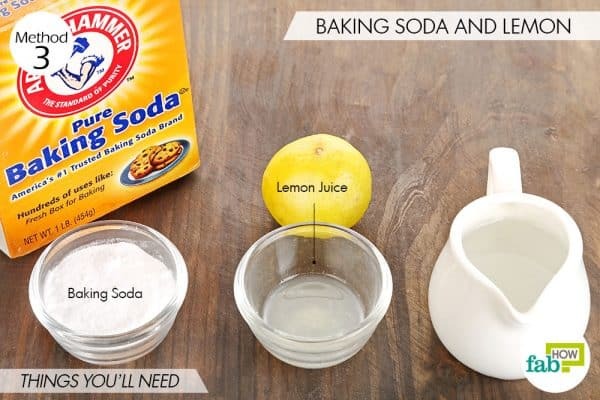 You can simply mix baking soda with water to prepare a simple but highly effective paste to get rid of acne. 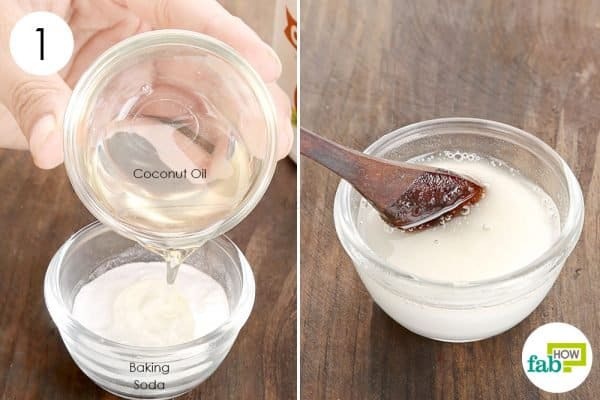 As baking soda can have a drying effect on skin, you should follow this mask with a light oil-free moisturizer to rehydrate your skin. 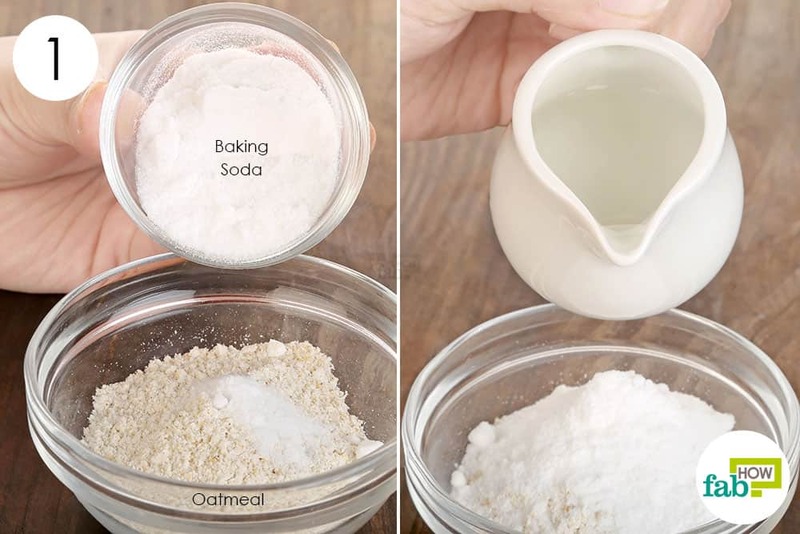 Take 2 teaspoons of baking soda in a bowl. Add just enough water to make a smooth runny paste. Dip in a Q-tip and apply the baking soda paste on the acne. Leave it on for around 10 to 15 minutes and then wash it off with cool or lukewarm water. Gently pat dry your face with a soft towel and apply an oil-free moisturizer to prevent your skin from becoming too dry. 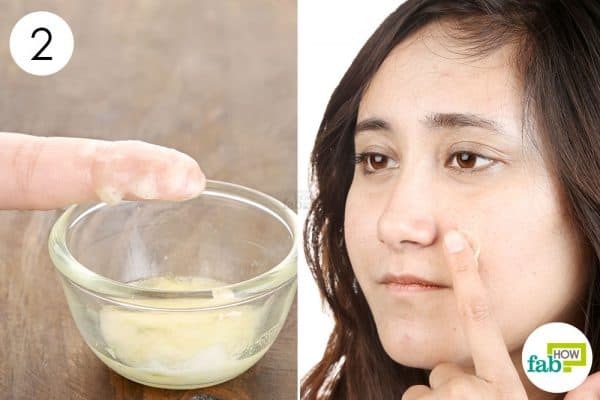 Apply this simple baking soda paste every alternate day to get rid of acne within 1 week. Raw honey has long been used in traditional medicine to heal wounds because of its antimicrobial and anti-inflammatory properties that also make it an excellent remedy for acne. Honey rehydrates your skin and also prevents loss of moisture by binding the moisture particles to your skin. It further repairs acne-ravaged skin and has mild bleaching properties that help lighten or fade away the scars. Pour 1 tablespoon of baking soda in a container. Add 1 tablespoon of raw honey to it. Go for spot treatment; use a cotton swab to apply the mask over acne and pimples. Keep it on for 15 to 20 minutes, and then wash your face with lukewarm water. Gently pat dry your face using a soft towel and apply an oil-free moisturizer to lock in the moisture. 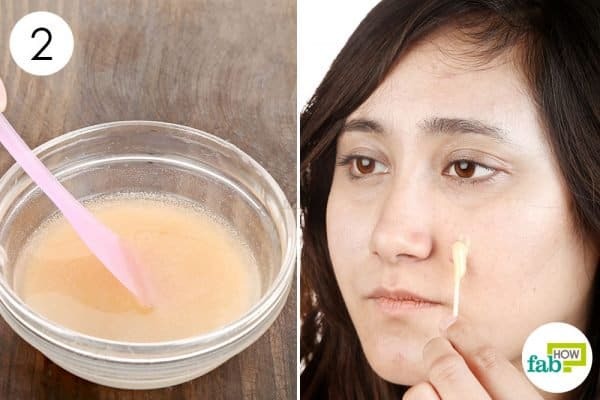 Apply this mask every alternate day to get rid of acne in 1 to 2 weeks. Lemon is another natural ingredient that can be combined with baking soda for acne treatment. This bright yellow tropical fruit is rich in vitamin C or ascorbic acid that boosts the production of collagen, thereby enabling faster repair of acne-affected skin. 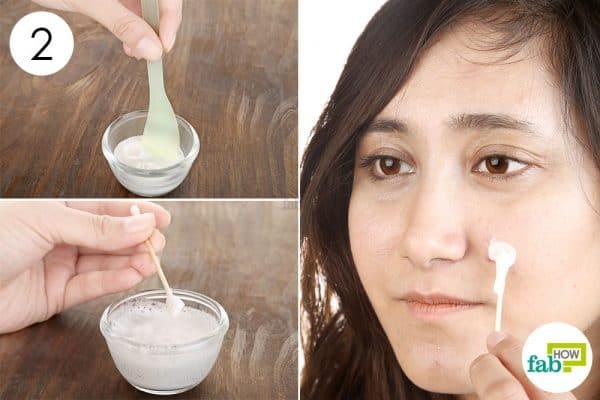 It also contains citric acid, which cuts down the excess oil and has bleaching properties that help fade acne marks or dark spots on the skin. Last but not the least, lemon also has strong antibacterial properties that can be used to fight the acne-causing bacteria. In combination with baking soda, it forms a highly effective remedy to get rid of acne and is especially recommended for those with oily skin. 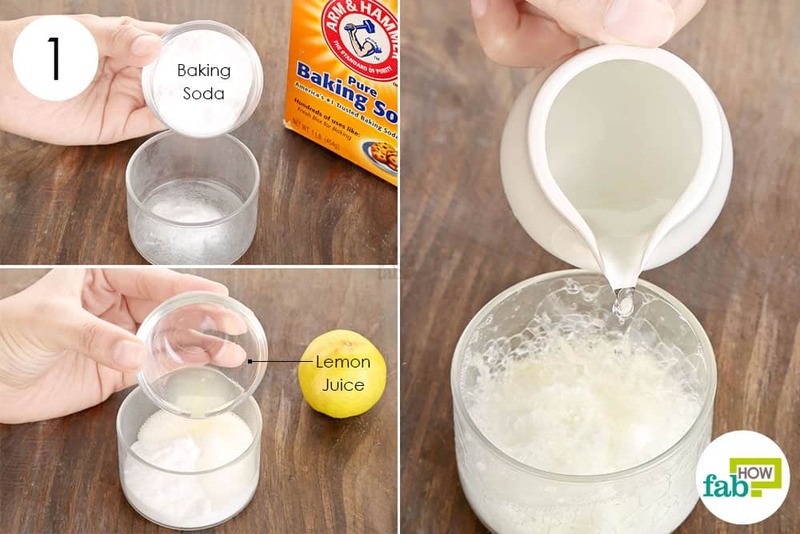 Note: Both baking soda and lemon juice are strong ingredients and may prove to be too harsh for those with sensitive skin; hence, we recommend that you do a 24-hour patch test to gauge how this mask reacts with your skin. Take 2 tablespoons of baking soda in a container. Add 1 teaspoon of fresh lemon juice. Add just enough water to make a smooth, runny paste. Mix everything thoroughly to get a uniform blend. 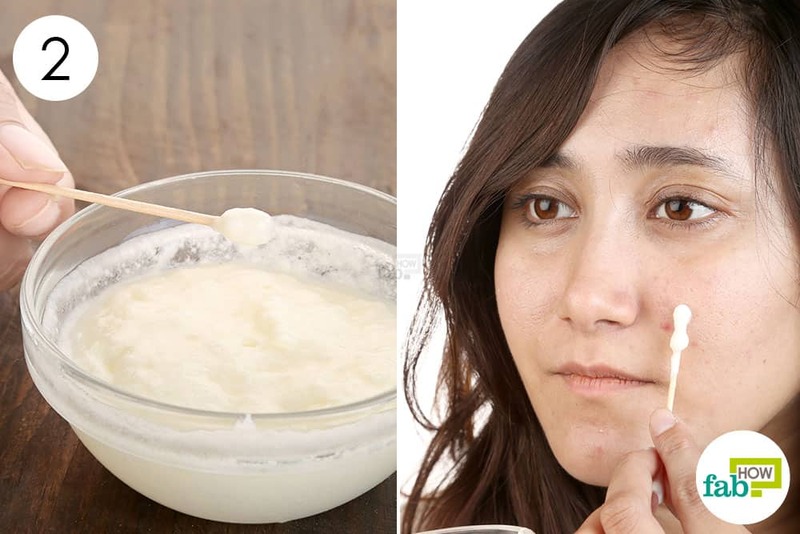 Use a cotton swab to apply baking soda and lemon paste over acne-affected areas. Leave it on for 15 minutes, and then rinse your face with lukewarm water. Gently pat dry your face and apply an oil-free moisturizer. 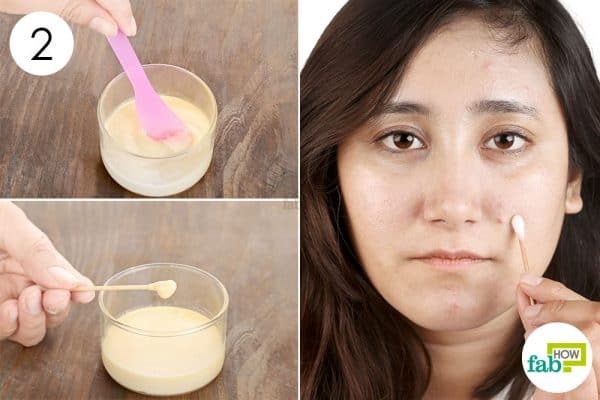 Apply this mask once every 3 days to successfully eliminate acne within 1 to 2 weeks. Extra-virgin coconut oil has potent antimicrobial and anti-inflammatory properties that make it an excellent remedy for acne. This rich oil consists of medium-chain fatty acids that work to restore the natural oil balance of your skin and nourish it from within. 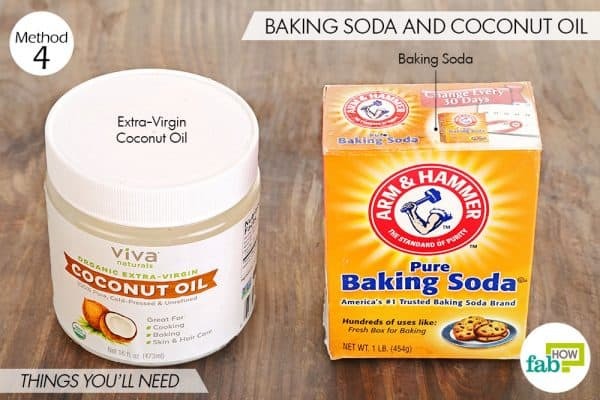 This baking soda and coconut oil mask is most suited for dry or combination skin types, while the baking soda can be drying; the coconut oil counteracts and replenishes your skin. Take 1 tablespoon of baking soda in a small mixing bowl. Add just enough melted coconut oil to make a smooth paste and mix well. 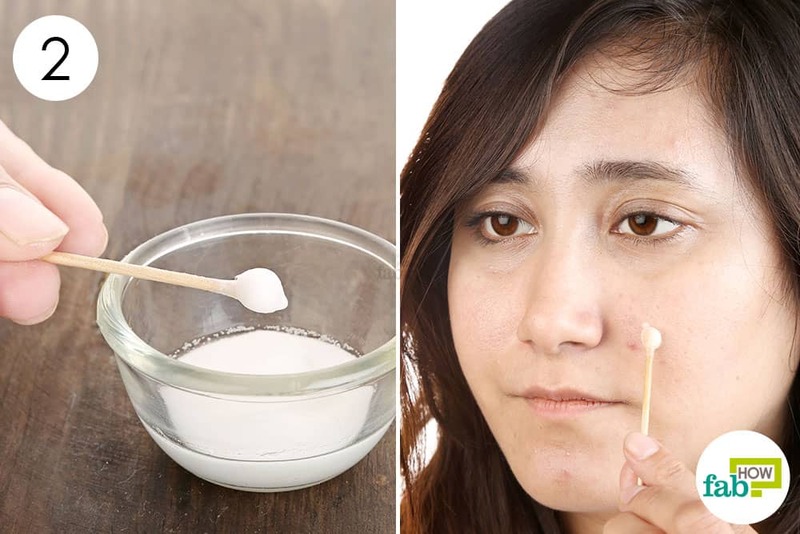 Use a cotton swab to apply baking soda and coconut oil paste on acne-affected areas. Let it sit for 15 to 20 minutes, and then wash your face with lukewarm water. Pat dry gently with a soft towel and apply a light oil-free moisturizer. Repeat 2 to 3 times a week for at least 2 weeks to get rid of acne and prevent future breakouts. Raw unfiltered apple cider vinegar helps regulate the pH balance of your skin and also eliminate acne-causing bacteria. 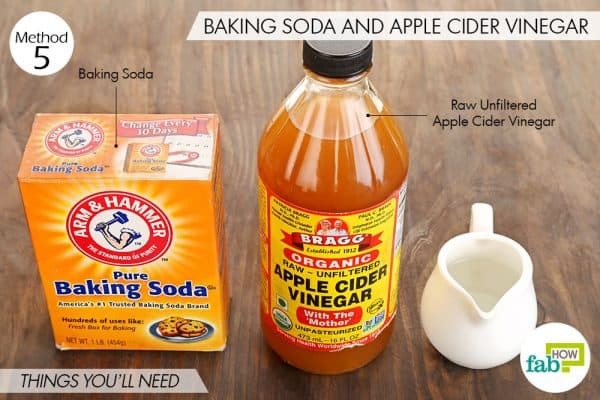 When mixed with baking soda, it works to reduce and dry out the red inflamed bumps to give you smooth and clear skin. 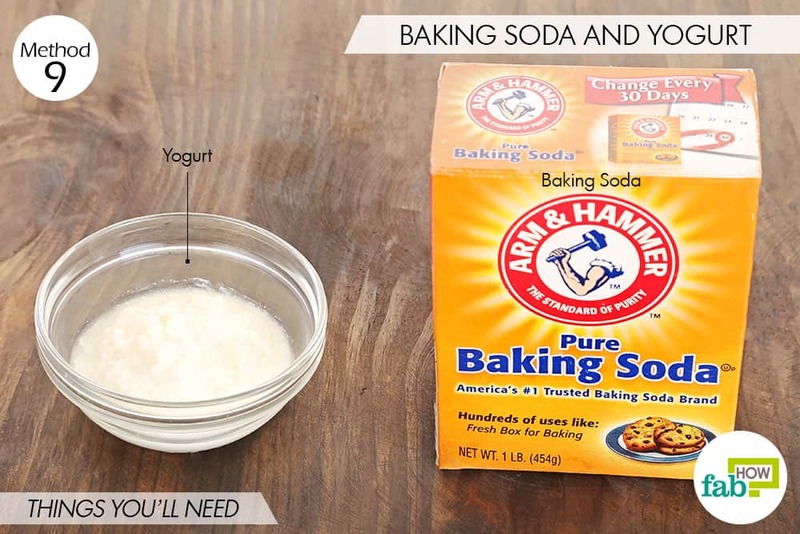 Pour 1 tablespoon of baking soda in a mixing bowl. 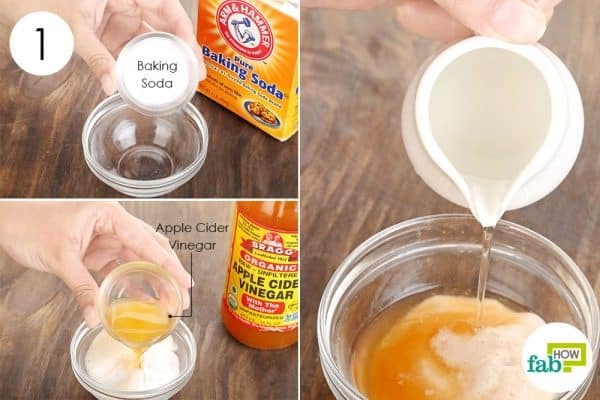 Add 1 tablespoon of raw unfiltered apple cider vinegar. Use a cotton swab to apply the baking soda and apple cider vinegar mask on acne-affected areas or patches. Leave it on for 15 minutes before washing it off with lukewarm water. Softly pat dry your skin and use an oil-free moisturizer. Apply this mask every alternate day to use baking soda for acne and get clear skin within 2 weeks. White toothpaste also works as an excellent remedy for acne as it helps dry out the swollen, pus-filled bumps without leaving behind any scars. You can apply a simple paste of baking soda, white toothpaste, and water to get rid of acne. Note: Do not use this mask if you have extra-sensitive skin or at least do a patch test before application. 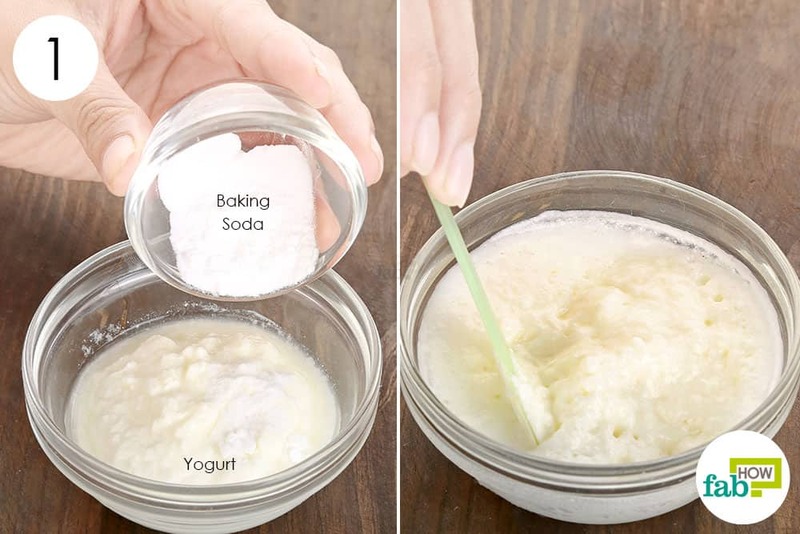 Pour ½ teaspoon of baking soda in a mixing bowl. 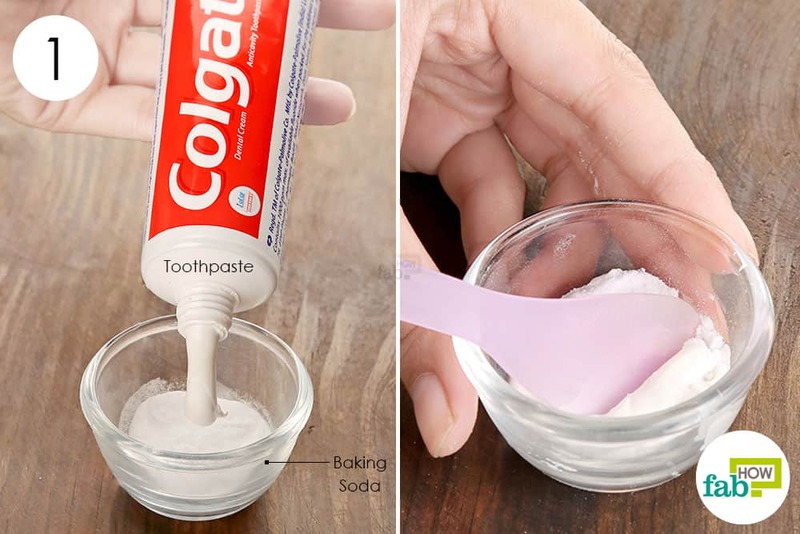 Squeeze out a pea-sized portion of white toothpaste and mix thoroughly. Add water as required and mix well to make a smooth, runny paste. Use a cotton swab to apply the paste on acne-prone areas of your skin. Let it sit for 5 to 10 minutes, and then rinse your face with cool water. Gently pat dry and apply an oil-free moisturizer to hydrate your skin. 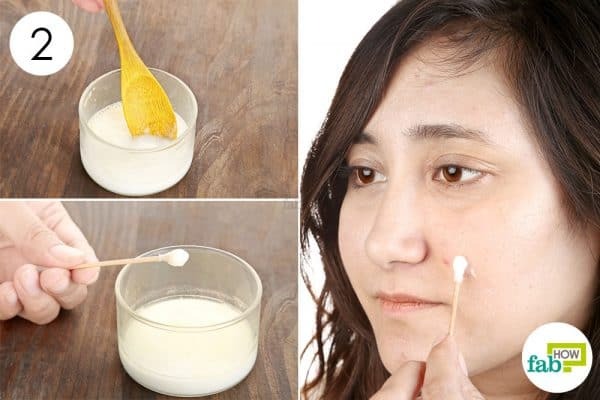 Do this every day to get rid of severe acne breakouts within 1 week. Witch hazel acts as a natural astringent to cleanse and tighten your pores, thereby removing all the acne-causing impurities and bacteria from your skin. 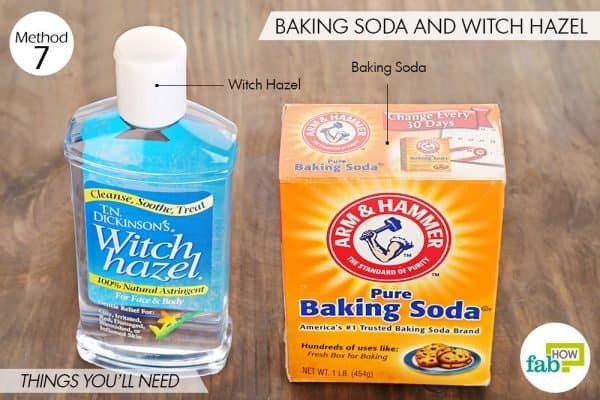 You can use baking soda for acne by mixing it with witch hazel to make a powerful mask that also works naturally to tone your skin. 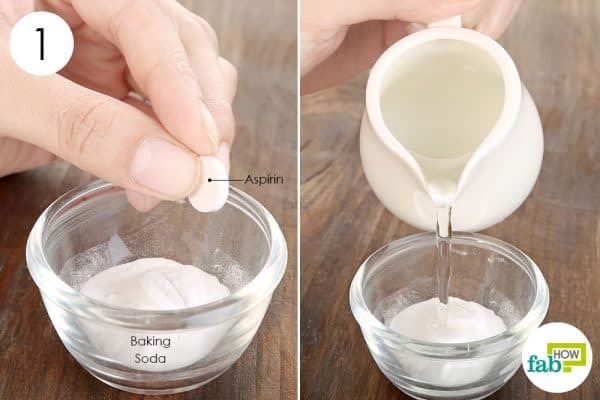 Take 1 teaspoon of baking soda in a bowl. 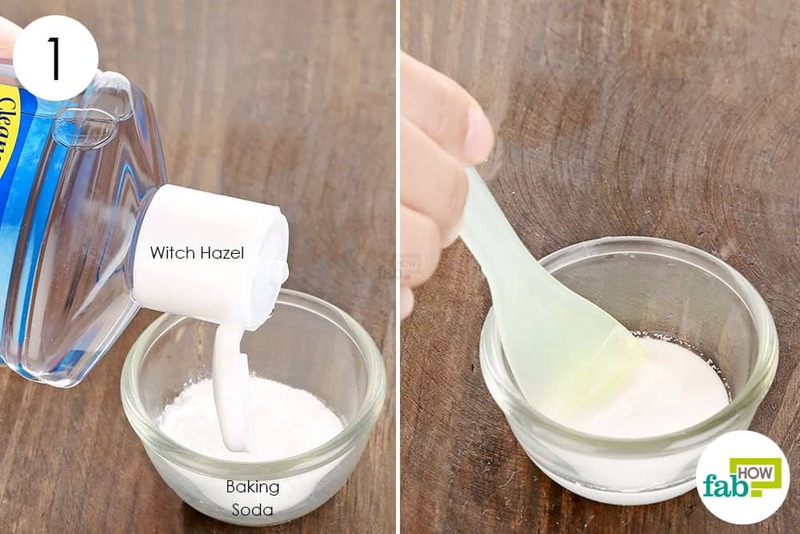 Add witch hazel extract as required to make a loose paste and mix well. Using a cotton swab apply the prepared paste on the acne-affected areas of your skin. Keep it on for around 15 minutes, and then rinse with lukewarm water. Pat dry your skin using a soft towel and follow it up with an oil-free moisturizer. 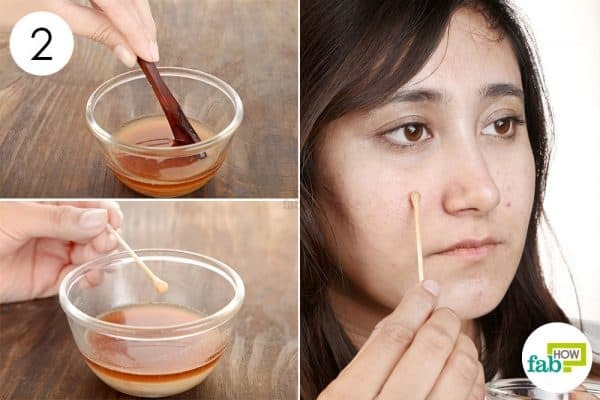 Use this mask once every 3 days to get rid of acne and pimples within 2 weeks. Aloe vera gel also has potent antimicrobial and anti-inflammatory properties that work to eliminate the redness and swelling associated with acne along with the infection-causing bacteria. Additionally, aloe vera also soothes and repairs damaged skin and can even be used to heal minor burns and wounds. This baking soda and aloe vera mask is particularly recommend for those with oily and sensitive skin, as baking soda will cut down the excess oil, while aloe vera will provide relief from the resultant irritation. 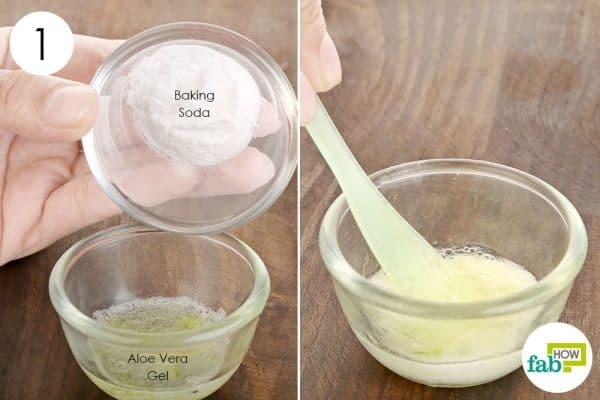 Take 1 teaspoon of fresh aloe vera gel in a mixing bowl. You can either buy it from the store or make your own aloe vera gel at home. Mix properly to get a uniform blend. 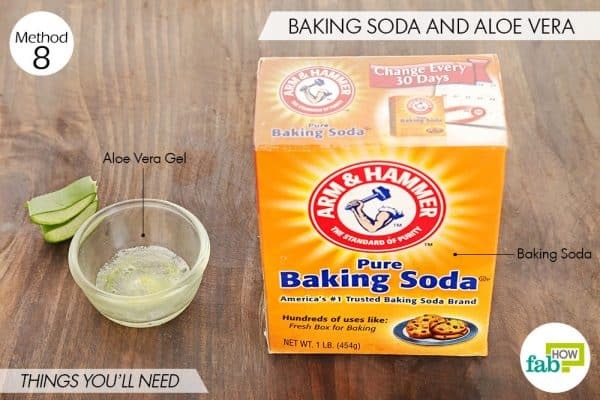 Using a clean finger, apply the baking soda and aloe vera paste on acne-prone areas of your skin. Leave it on for 15 to 20 minutes or till it dries completely. Afterward, wash your face with lukewarm water and gently pat dry using a soft towel. Apply a light, oil-free, non-comedogenic moisturizer to prevent dryness. Apply this mask 2 to 3 times a week for at least 3 weeks to get rid of both acne and acne scars. This mask can be used by those with dry, dull, and damaged skin as yogurt contains lactic acid, which naturally bleaches the skin along with milk proteins that work to nourish and repair the damaged skin cells. Take 2 tablespoons of plain yogurt in a bowl. If you do not wish to or are unable to use yogurt, you can substitute it with plain milk. 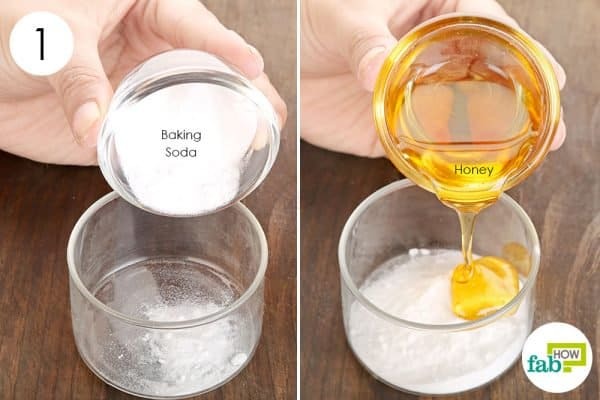 Add 1 teaspoon of baking soda to it and mix well. 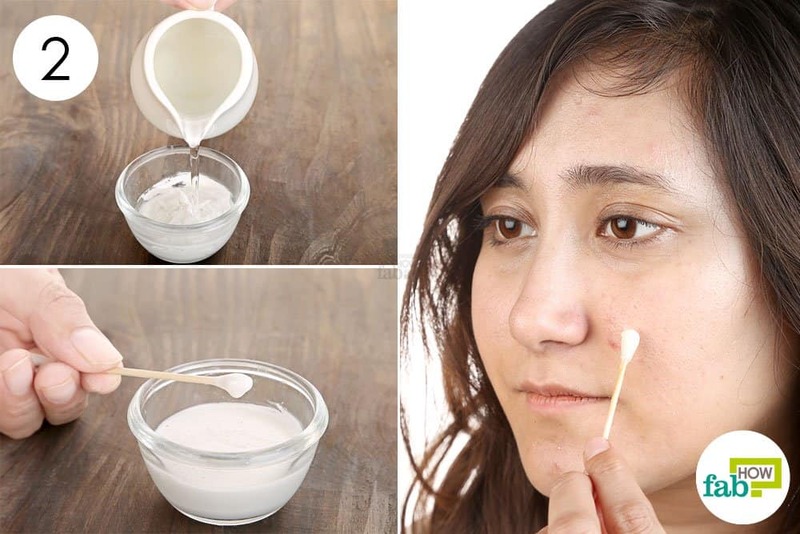 Using a cotton swab, apply the yogurt and baking soda blend on the acne-prone areas. Let it sit for 15 to 20 minutes; afterward, wash your face with cool or lukewarm water. Gently pat dry and apply a light, oil-free moisturizer to lock in the milk proteins. Apply this mask at least 2 to 3 times a week for 3 weeks to use baking soda for acne and also fade away any lingering scars or marks. Aspirin contains salicylic acid that works to heal acne and prevent future breakouts. 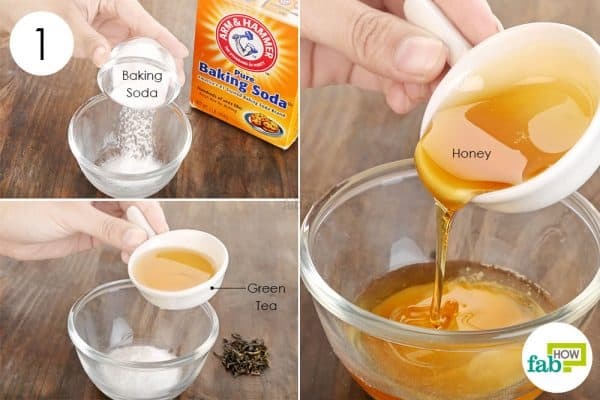 It can be crushed and mixed with baking soda to make an effective mask for acne and to prevent it from recurring. Add water as required to make a loose paste. 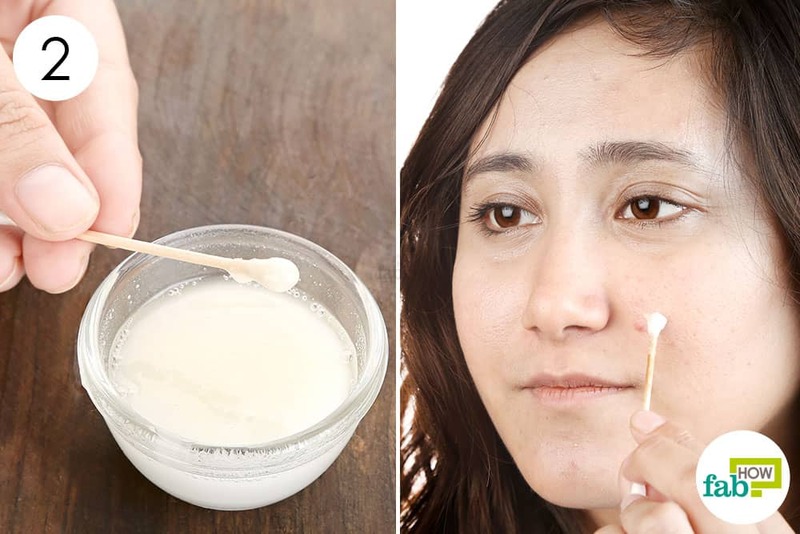 Using a cotton swab, apply the prepared paste on the acne-prone areas of your body. Leave it on for 15 minutes, and then rinse it off with cool or lukewarm water. Softly pat dry your skin and finish off by applying an oil-free moisturizer. Apply this anti-acne mask 2 to 3 times a week for at least 2 weeks to eliminate acne. 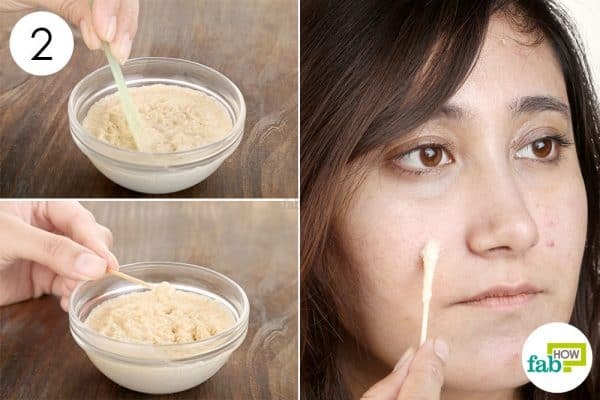 Oatmeal flour is great for sensitive skin as it gently exfoliates skin to get rid of dirt and other acne-causing impurities, simultaneously soothing the inflamed skin cells. 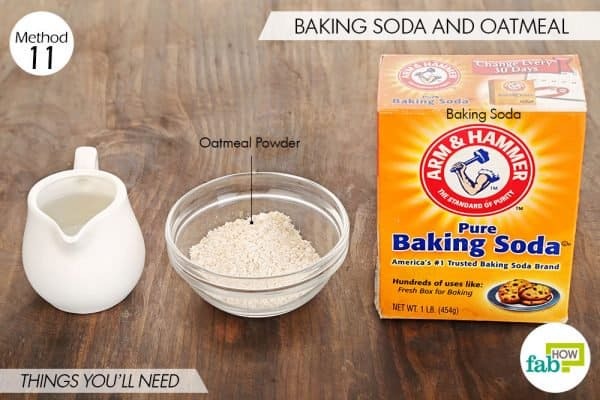 You can mix baking soda with oatmeal powder and water to make a mild exfoliating face mask to get rid of acne. Take 2 tablespoons of ground oatmeal in a bowl. Mix properly with a spatula to get a uniform mixture. Using a cotton swab, apply the mix on the acne-affected areas. Let it sit for about 15 minutes or till it dries completely. Wash it off with cool or lukewarm water, and gently pat dry your skin. Follow this up with a light oil-free moisturizer. Green tea reduces excess oil, tightens pores, and is rich in antioxidants that fight free radicals to repair damaged skin cells. You can mix some brewed green tea with baking soda and raw honey to make a detoxifying mask for acne. Take 1 tablespoon of baking soda in a mixing bowl. Add 1 tablespoon of brewed green tea to it. Apply on the acne-affected areas of your skin and keep it on for 15 to 20 minutes. Afterward, wash it off with lukewarm water and gently pat dry your skin. Then, apply an oil-free moisturizer. Apply this mask 2 to 3 times a week on a regular basis to use baking soda for acne and prevent future breakouts. If baking soda sounds too drying to you, you can also use DIY turmeric masks to get rid of acne. Alternatively, you can also apply tea tree oil masks to treat severe and persistent acne. 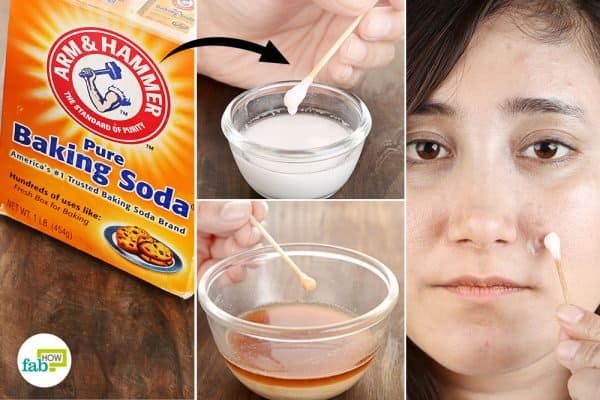 You can also mix 2 teaspoons of baking soda with egg whites (from 1 egg) to prepare a pore-tightening face mask for oily skin that also works to eliminate acne.